Engineering and what it entails is a relatively broad field. There are all manners of ways to be an engineer in a wide variety of fields, but how will you know which the right type of engineer degree is for you? You could take a look at our comprehensive list of Engineering Industry Sectors and find related courses or take a look below to narrow down your options or take a look at our jobs page to see what working in each field would entail. We’d also recommend visiting different universities and quizzing their engineering departments to find the right course for you and if you really can’t decide it might be worth looking into courses where the first year is general engineering and you specialise later. One of the most innovative and exciting areas of engineering, mechanical engineering degrees offer a wide range of specialisms to excel in. In the broadest possible terms, mechanical engineers deal with machines. Typically, universities will want you to have taken Maths and Physics (or another science) A levels. A specialist degree which boasts a variety of topics including aircraft performance, control and structures, composites, noise and space flight. This is essentially the technical and creative study of automotive design, drivetrain, vehicle body and engineering systems with key business and market considerations. Biomedical engineering is about finding solutions to medical issues by meeting the demands of the healthcare business through the development of specialist technology. It will usually only be available as a masters course given the technical nature of the field and will require you to have studied biology at A level. Often twinned with biomedical engineering, this degree provides the fundamental understanding of machines used in the fields of biology and medicine by way of focusing in on more narrow fields like corrective surgery. Civil engineering degrees cover the topics associated with planning, designing and constructing infrastructures while ensuring that public and environmental health laws are being adhered to. The courses will also cover improving and maintaining existing infrastructures. As with mechanical engineering, you will be required to have studied Maths and a science at A level (again, Physics is often preferred). This degree teaches the disciplines needed to analyse, design, plan and research structural components and systems as well as the take into account not only safety factors but aesthetic (the look of the structure) and social factors and how it will affect the communities, etc. This degree focuses on the technical and managerial aspects of architectural design and construction project management. An important aspect of everyday life, examples of electrical engineering are all around us from communications to entertainment, retail, manufacturing, healthcare, transport and much more. 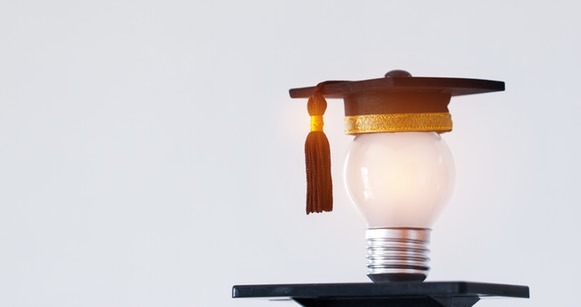 For Electrical Engineering degrees the only consistent requirement is Maths A level, beyond that sciences and specialised A level courses will prove useful. This may refer to either Computer Systems Engineering degrees which some universities offer and will prepare you to work on large scale systems and Computer Science the more widely available course which often will allow you to specialise in the area of hardware or software that most interests you. This degree teaches you the fundamental principles of electronic engineering and the skills necessary for the modern day system designs, interfacing and communications. It’s often combined as a degree course with Electrical Engineering as there is a lot of overlap. The main distinction is the size of the devices you work with (just remember electrical=big, electronics=small). Sometimes referred to as Mechatronic Engineering, this degree will teach you about the aspects of design, construction and the operation of robots as well as systems for their information processing and touch on computer science related to robotics. Some universities will only offer it as a postgraduate option to follow on from an engineering undergraduate. A degree in either Electrical or Mechanical Engineering would provide a good foundation. Microelectrical engineering focuses on the fabrication of (micro) electronic, bioelectronic, electromechanic and fluidic devices and systems and their applications. It will most likely require Maths and Science A levels. Chemical engineering combines natural and experimental sciences like chemistry and physics along with life sciences such as biology, microbiology and biochemistry as well as mathematics and economics. As you’ve probably already guessed, for Chemical Engineering you will need to have done Maths and Chemistry A levels. An environmental engineering degree will build upon fundamental civil/construction engineering and project management principles in regards to social, economic and environmental issues. It’s usually only offered as a postgraduate course and may be available to students who have studied various forms of Engineering, Science, Geography, and even Maths. Material engineers study relationships between the structures and properties of solids including metals, ceramics, polymers, biomaterials and composites and how they are made, with a focus on the best possible material for specific tasks and purposes. An example of industries this is prominent in is the aerospace, automotive and telecommunications industries. It is essential to the development of new technologies and, as such, some universities will accept Design & Technology A levels as opposed to the science requirement. An agricultural engineering degree will cover everything from the design of machines, farming infrastructures, irrigation and draining, improvement and development of farming technologies as well as researching renewable energy sources. This is quite a specialised degree and so may not be widely available. Geotechnical engineering degrees combine specific skills and courses regarding structures and properties related to soil, groundwork, and construction practices upon these terrains. Usually only available to postgraduate students, you will probably be expected to have completed a Civil Engineering or Geology degree although other courses may be considered depending on your area of interest. 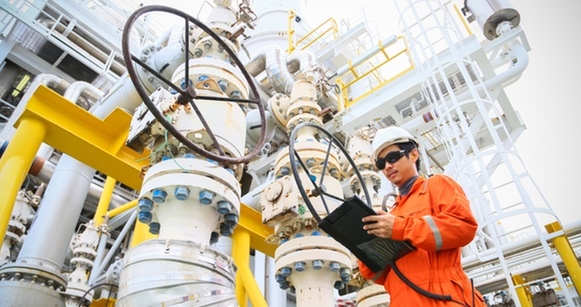 This degree focuses on activities related to the production of hydrocarbons such as crude oil or natural gas. It is offered by some universities as an undergraduate course with A levels in Maths, and Science/Engineering or as a postgraduate course with a degree in Science or Engineering. A geological engineering degree deals with factors like soil, rock, groundwater and other conditions which may or may not affect construction projects onsite. To study this you will be expected to have studied sciences and often geography. There are many areas available within Nuclear Sciences, from research into how nuclear material affects structures to the processes involved in fission. To study this, you will be expected to have a strong basis in Physics. Marine engineers build, design and repair boats, ships, underwater crafts and drilling equipment used at sea. As it is such a specialised area, it may be difficult to find specialised degrees, however, if it is a field you are interested in, you can read more on our marine engineering pages and see which companies are operating in the field. This degree involves the practice and science behind extracting and processing minerals that natural evolve and occur from the environment. To study this you will probably need to have completed Science A levels. Click here to read about the Top 3 Geotechnical Engineering Courses. Combining business and management with technical expertise, engineering management degrees play has an integral role in preparing would be managers of the engineering sector that will oversee all of the above. These degrees may be hosted by business departments rather than the faculty of engineering so may not appear when you first search. So there you go! If something takes your fancy, take a look at our A-Z of Engineering Companies to see if any of them offer work experience in your chosen area. If you're interested in finding out more about what universities have to offer why not visit What University Live the essential events for students considering their options.